As we travel the country, we are seeing towns and communities exploding with pickleball like never before and there is no sign of slowing down any time soon. And one of the biggest trends we’ve seen lately is the development of pickleball leagues. When you ask communities about how many tournament players they have, the percentage is always very low. But when you ask about how many people would enjoy playing in some type of organized league, the numbers shoot through the roof. Leagues can come in many forms, (ladder leagues, flex leagues, round robins, shootouts, etc) but the bottom line is, they are fun and everyone can enjoy a level of competition that suits them. Yes, whether it’s a relaxed recreational league or a super competitive league, we are happy to tell you that TrackitHub can help you handle and organize them all. 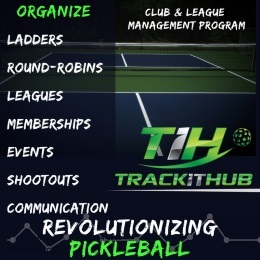 If you live in a community that hasn’t tried setting up a league, by all means, sign up for free at www.TrackitHub.com and let their cool software help you have the fun of your life with your pickleball friends. 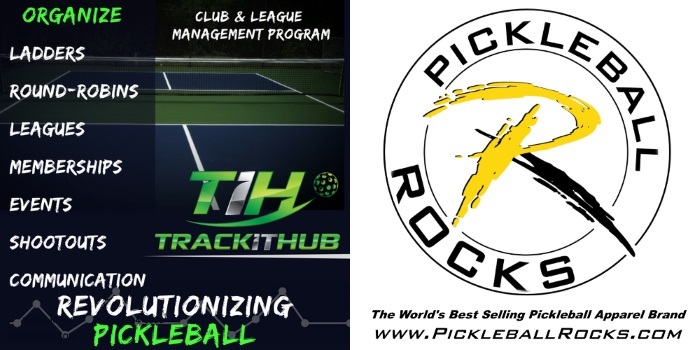 Oh, and did we mention that TrackitHub is also the king of organizing and managing your pickleball club. Everything from scheduling club events to easily communicating with all your club members, TrackitHub does it all. We’re certainly looking forward to promoting TrackitHub everywhere we go because we believe that leagues are just another great way to grow pickleball in your community. Click Here and Try One Today! You’ll love it, I promise.